The future of self-driving cars is “wheely” close! You’re at home when you realize you need to go to the store for groceries. After entering your desired store into your smartphone, you step out of your front door where your car has already maneuvered itself out of the garage and into your driveway. You get in your car, kick back and relax while your car drives itself to the grocery store in only a few minutes. This might seem absurdly futuristic, but fully autonomous vehicles (also known as self-driving cars) are likely coming to the general population sooner than you think. 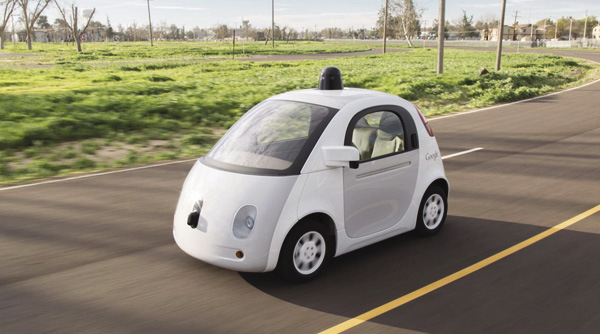 Autonomous vehicles promise a future with greatly increased road safety. Computers do not get tired, distracted or drunk, which are all common causes of road accidents today. For people with disabilities who cannot currently drive, autonomous vehicles represent a chance at freedom and mobility that they have lost or not yet been able to enjoy. Tesla, a maker of luxury electric vehicles, is one of the manufacturers with the most autonomous features currently available for consumers. The Tesla Model S features an “autopilot” mode which allows for almost fully autonomous highway driving. The car also has a feature called “summon,” which allows for the car to park itself or pull out of a garage into a driveway without a driver in the car. Elon Musk, Tesla’s founder, estimated in a December interview with Forbes magazine that the company will have fully autonomous vehicles produced within just two years. Vehicle manufacturers have been working to ensure that autonomous vehicles can cope with a variety of conditions and circumstances just like the ones human drivers encounter. One challenge Calgarians know well is driving in weather that changes rapidly. Ford has been testing autonomous vehicles in harsh Michigan winters. Meanwhile, Google has recently begun testing its autonomous vehicle prototypes in Kirkland, Washington State, to ensure the vehicle’s sensors can handle rainy, hilly conditions. Autonomous vehicles will not just be for personal use, either. Daimler Trucks has developed an autonomous semi-trailer that is currently being tested on the Autobahn in Germany. The company has touted that the vehicle has the potential to increase vehicle efficiency, as computers are more precise than human drivers in braking, steering and using the throttle. Early statistics pertaining to the safety of autonomous vehicles tested on real roads shared with human-driven vehicles have been encouraging. Google’s prototypes have been involved in 3.2 accidents per million miles driven, whereas human drivers would average 4.2, a 27 per cent reduction in accident rates. The large majority of the accidents have been minor fender-benders in which human drivers have rear-ended the autonomous vehicles. The statistics for the safety of autonomous vehicles are bound to improve as the programming and sensors for the vehicles evolves further. Companies all over the world are working on fully autonomous vehicles (even Apple has been rumoured to enter the fray), and the Obama administration has pledged $4 billion in funding towards autonomous vehicle research and development. It’s just a matter of time before you’re taking cross-country road trips without touching a steering wheel.